Under the patronage of the Jordan Minister of Tourism and Antiquities Chairman of the Board of Jordan Tourism Board Her Excellency Ms. Lina Annab, the Jordan Inbound Tour Operators Association (JITOA) invited Al Falah University for a networking cocktail reception. Representing AFU, Dr. Ashraf Jahmani from the Department of Tourism and Events Management, Mr. Ahmad Qudah, Student Recruitment Unit Supervisor and Ms. Zaina Fraihat, Student Coordinator from Deanship of Student Affairs presented the academic programs under the different colleges at Al Falah University. On the other hand, the delegation discussed partnerships and agreements with parties that expressed their interest in availing JITOA’s services. 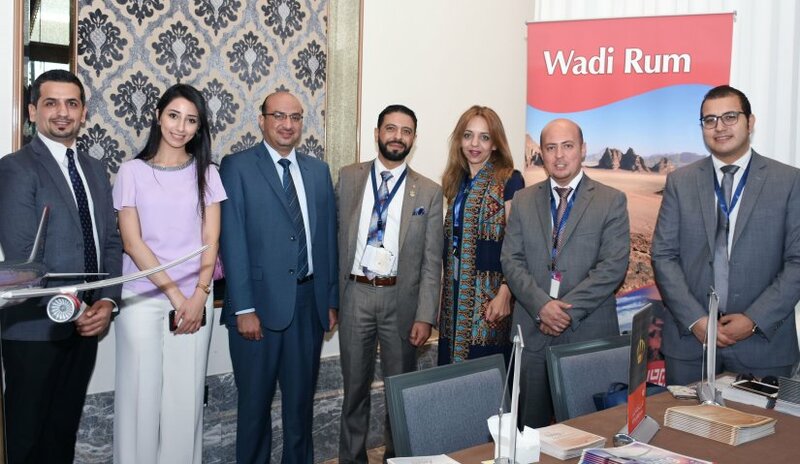 Notable attendees are representatives from the Royal Jordanian Airlines, the Tourism Promotion Authority, Association of Incoming Tourism and Royal Tours.